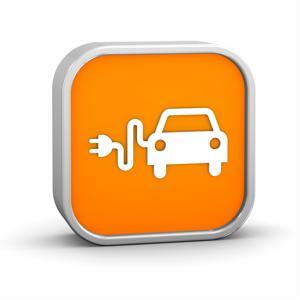 Home Facility Management IT Are electric vehicles actually more efficient? For some, questioning electric vehicles' efficiency seems ridiculous. However, many enterprises specializing in vendor resource management point out that an EV's eco-friendliness is actually dictated by where the automobile is being recharged. For example, an electric car in a charged at a facility that derives its power from a utility that sources energy generated by a coal-fired plant may not be as efficient as a conventional gas-powered car. It's a fact that many environmentalists would lament, but that doesn't make EVs impractical. Rather, the best way to go about procuring such machines is to scrutinize location. International Business Times referenced a map developed by the Union of Concerned Scientists, which scrutinized the U.S.'s use of resources to create electricity. The study deduced what an EV's "emissions" would be based on the cleanliness of certain resources, comparing those findings to the fuel efficiencies of gas-powered automobiles. For example, if a person drives a Nissan Leaf in Alaska, he or she is producing the same amount of emissions that a gas-burning car getting 126 miles per gallon would. This is due to Alaska's considerable use of natural gas. In New York, an EV is equivalent to a gas-powered vehicle getting 112 mpg. Giving a boost to the consumer procurement process? Many governments strongly committed to reducing emissions often create tax incentives that encourage people to purchase EVs. It's a consideration that the European has been focusing on for quite some time. However, such cost breaks can only go so far in reducing the price of EVs. Not to mention, the authority is recognizing that many of these cars simply can't go the same distance as gas-powered automobiles. The European Commission recently released a statement detailing an initiative that hopes to mitigate this factor. Over the past three years, the EU has provided funding to the Optimal ENErgy consumption and Recovery (OPENER), which recently unveiled a vehicle possessing an enhanced battery and a smart energy management and recovery solution. Through a combination of intelligent guidance, more flexible braking systems and a battery with a longer lifespan, the Commission asserted EVs can achieve energy efficiency gains of up to 30 percent. OPENER hopes that the system will be integrated into EV manufacturing processes by next year. As a whole, the endeavor supports the EU's goal to have between 8 million and 9 million EVs on the road by 2020.